Every year, the Sydney Peace Prize brings the Sydney community together to talk about peace, justice and nonviolence, and to honour some of the world’s most inspiring peacemakers. Nobel Prize winning Economist and lifelong champion for global economic justice, Professor Joseph Stiglitz will receive the 2018 Sydney Peace Prize. Join us on Friday 16 November to celebrate Stiglitz's 2018 Sydney Peace Prize at the annual Sydney Peace Prize Gala Dinner. 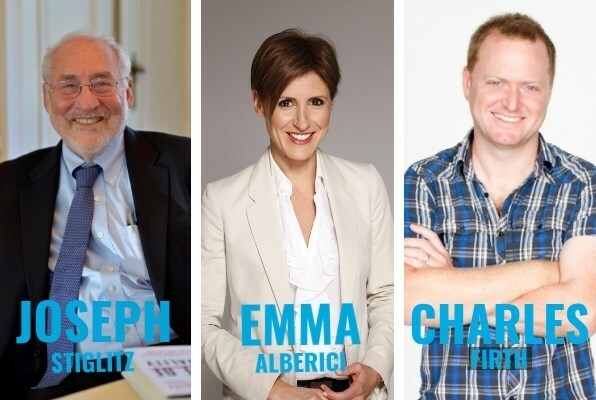 This wonderful evening offers you an intimate opportunity to meet Professor Stiglitz, hear from inspiring speakers including Emma Alberici and MC Charles Firth, and celebrate the Prize with great company at a spectacular fully catered three-course dinner. The annual Sydney Peace Prize Dinner is the Foundation’s fundraising event of the year, and your attendance will help us continue awarding the Sydney Peace Prize to recognise and support global leaders for peace and justice. Guests will once again be able to bid on fantastic items and experiences in our silent auction. Don't miss this exciting opportunity to attend the 2018 Sydney Peace Prize Gala Dinner! 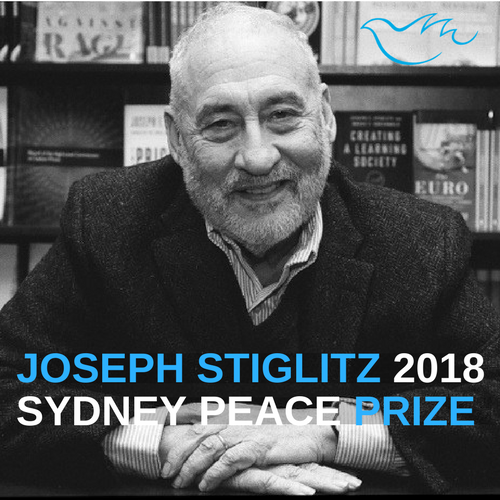 Find more information about Professor Stiglitz's Award 2018 Sydney Peace Prize on www.sydneypeacefoundation.org.au. * Please note: The Gala Dinner will take place on Friday 16 Nov, the day after the Thursday 15 Nov City of Sydney Lecture and Award Ceremony. A ticket to the Gala Dinner ticket does not include entry to the Lecture. Our sponsor Vibe Hotels has generously offered discounted accommodation to event attendees. Please click here and enter the promo code 'PEACE' to take advantage of this special offer!